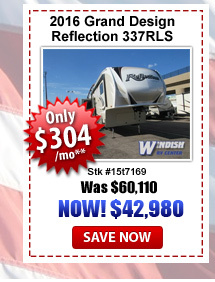 Memorial Day Sale to Kick Off Summer At Windish RV! 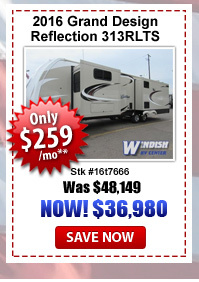 Memorial Day is here and here at Windish RV, we’re celebrating the start of camping season with a big sale! 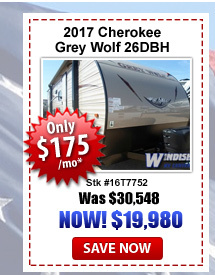 Take advantage of big savings on travel trailers like Cherokee Grey Wolf, Airstream Sport, Flying Cloud and Classic, as well a fifth wheels like Grand Design Reflection and Solitude! 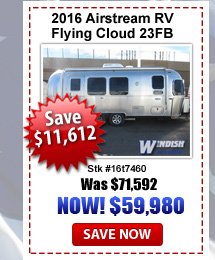 In addition, we have amazing deals on our entire line of Travel Trailers, Fifth Wheels, Toy Haulers and Motorhomes. 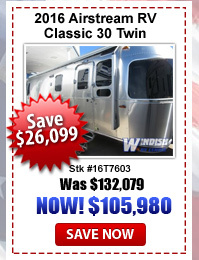 Take a look at these low summertime blowout prices! Get yours now before they’re gone! 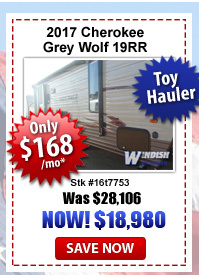 Whether you’re a family looking for just the perfect bunkhouse travel trailer or a couple looking for an extended living fifth wheel, we have just the right RV to fit your needs. 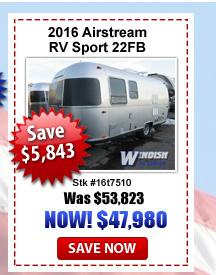 Contact Us at Windish RV and one of our friendly team members will help you find the right RV at the right price. We’re here to help because we love happy campers. 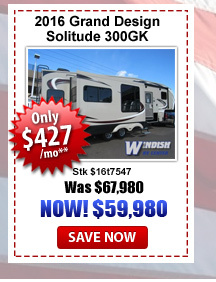 You are sure to be amazed at the variety of towables we have for sale. After all, we are Colorado’s #1 towable RV dealer! Our secret? Excellent customer service and volume pricing! 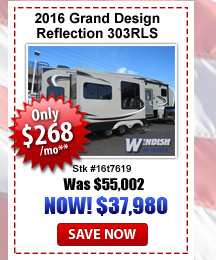 So, don’t wait, grab the family, hop in the car and pick out the perfect RV for your summer vacation this Memorial Day weekend. Start making memories today!